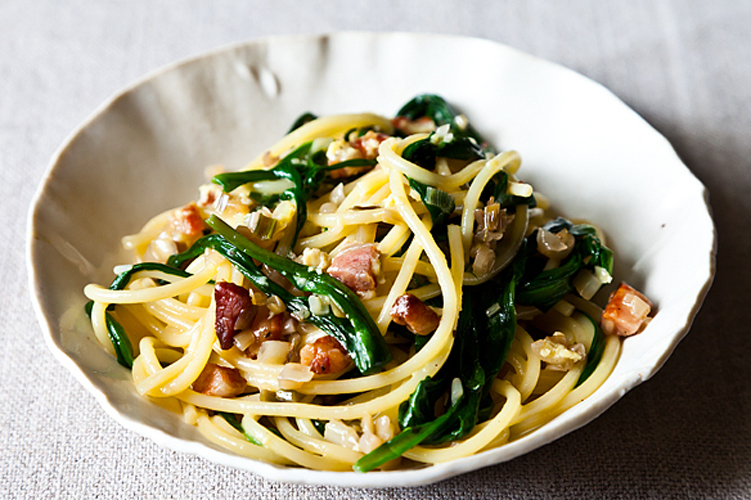 Turn the freshest pulls from the beginning of the season into these easy-to-prep Spring dishes. Let’s face it: After a winter of roots and hard squash, the influx of vibrant fruits and vegetables can be just as overwhelming as it is exciting. What to cook? Where to begin? Whether you just started cooking in the past six months and haven’t yet tried your hand at spring produce, or you’re an experienced cook simply looking for unadulterated spring fare, here are 10 tried-and-true recipes that almost effortlessly make the most of the season’s fresh-grown offerings. Click through the gallery above to get all of the recipes. 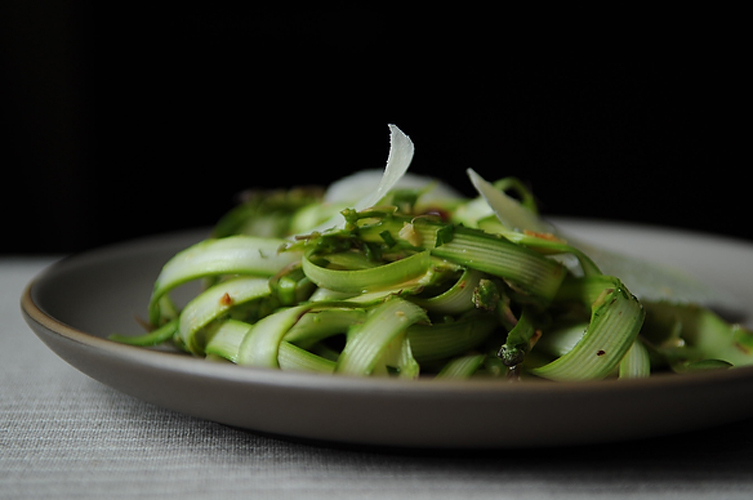 Shaved Asparagus and Mint Salad. Get out your best vegetable peeler. It does double duty here: first with the asparagus and next with the parmesan cheese. The hazelnuts echo the richness of the cheese and mint gives the salad a little zing. We like zing! Get the recipe. Artichokes and Parsley with Preserved Lemon Pesto. 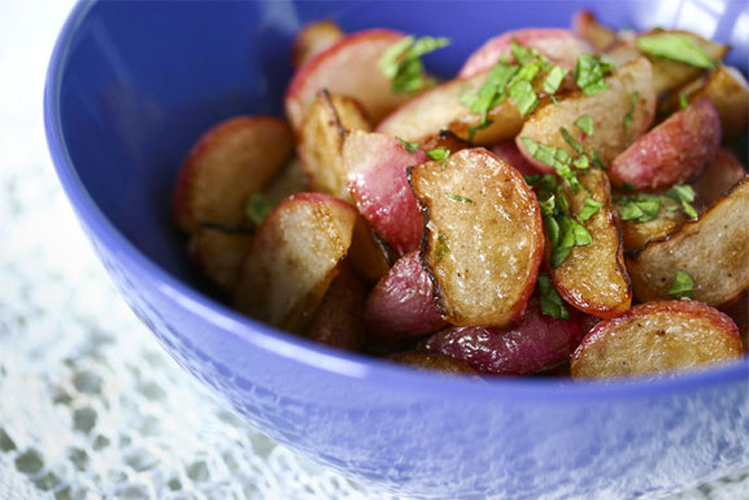 This dish can be used in an infinite number of ways: as a side dish, on top of a crostini, tossed into a salad, or on a cheese plate. 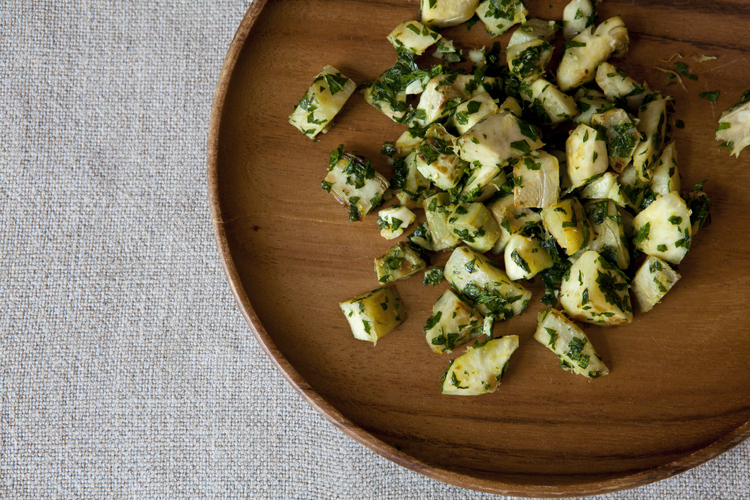 The lemon and parsley make a bright, fresh pesto that gives the artichokes a little kick. Get the recipe. 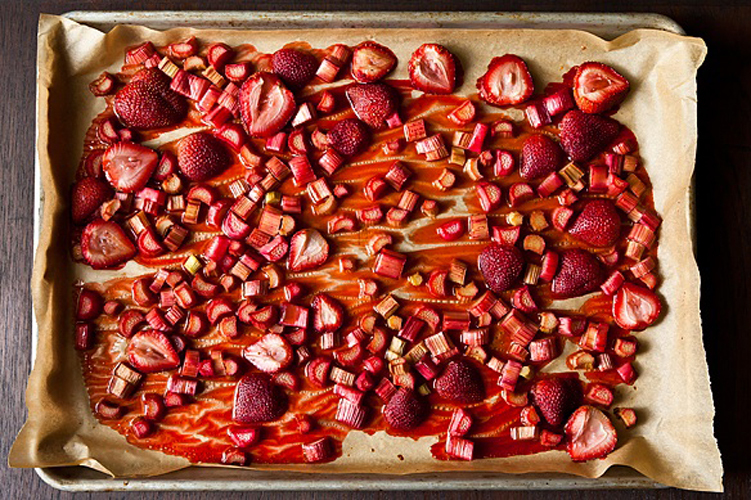 Roasted Rhubarb and Strawberries. The rhubarb is delightfully roasted, holding its shape well. It’s complemented by a simple syrup created by the juicy strawberries, balsamic vinegar, sweet vermouth, pure maple syrup and a pinch of salt. Simplicity at it its finest. Get the recipe. 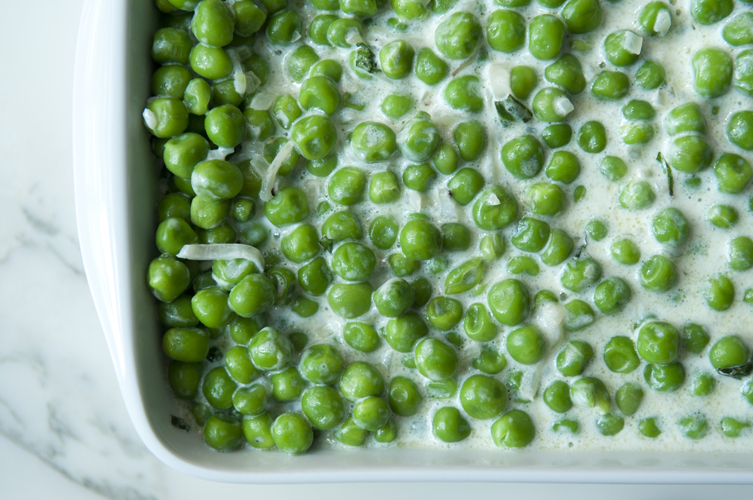 Peas in Mint Cream. We like that this recipe doesn’t try to reinvent the wheel -- it simply improves upon a delicious spring staple by infusing the milk with mint in addition to adding fresh mint at the end of cooking. These bookends of mint give the dish a soulful fragrance. Get the recipe. 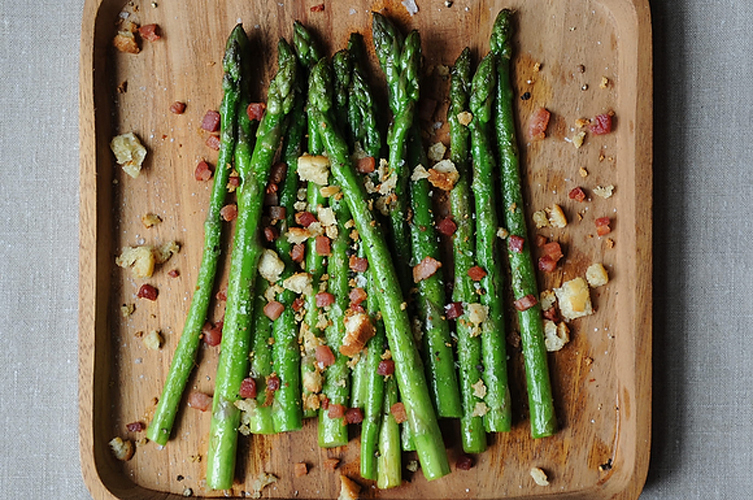 Asparagus with Pancetta. Sometimes when you learn something new in the kitchen, you feel embarrassed that you hadn't figured it out sooner. Cooking asparagus was that way for us. Turns out, it’s best simply sauteed. Get the recipe. Strawberry Salad. 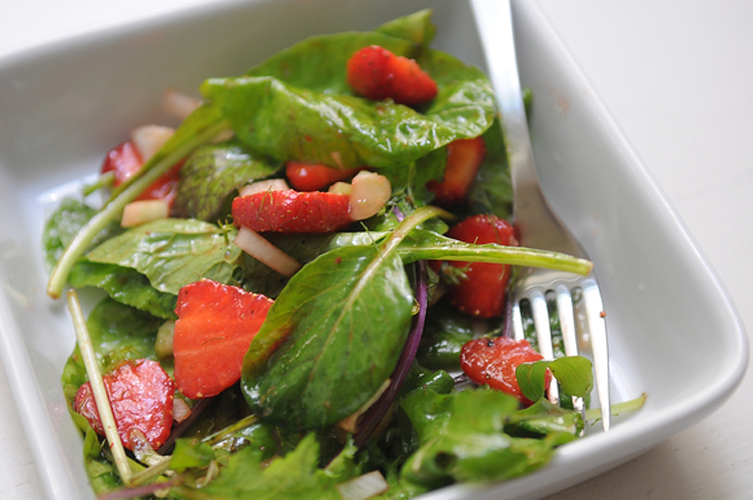 The delicious, sweet-savory combination of strawberries, balsamic vinegar and freshly ground black pepper is expanded into a salad with mixed greens, finely chopped celery, and fennel. Get the recipe. 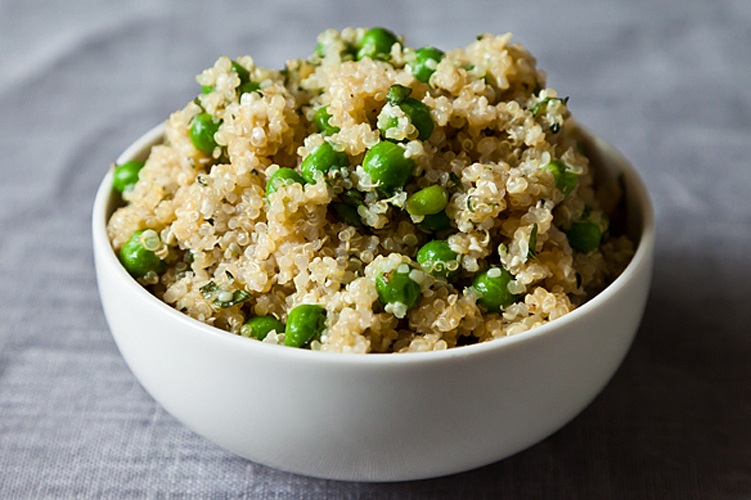 Lemon Herb Quinoa with Hemp Seeds, Spring Peas, and Basil. Quinoa and hemp seeds are pretty famous for being "hippie foods," but here, they’re accessible and delicious, thanks to a bright pairing with fresh herbs and a squeeze of lemon. Get the recipe. 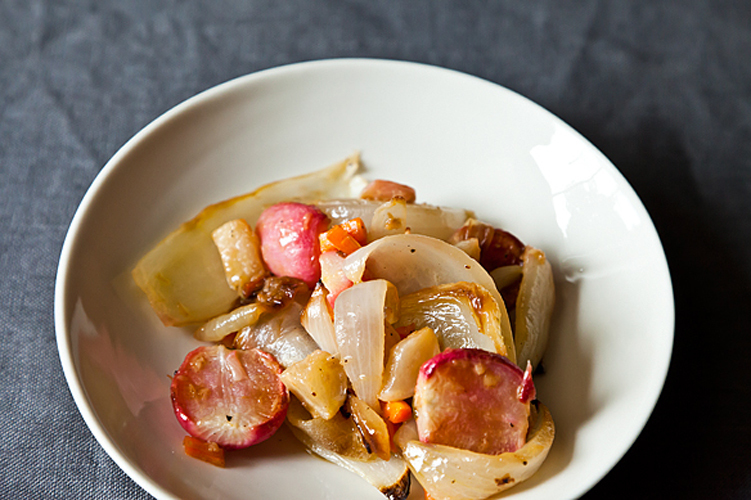 Roasted Spring Root Vegetables with Horseradish Thyme Butter. What makes this dish is the winning combination of horseradish and thyme in the butter sauce. Who knew horseradish had friends other than roast beef? Apparently it likes to get gussied up and party with the uptown crowd once in a while. It has us fooled. Get the recipe.